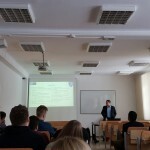 The day started with workshop which was held with a limited number of students, with direct interest in the overlap of cybersecurity and international relations. It simulated the post-cyberattack situation, where the students assumed the role two independent states. One of which is a victim of sophisticated attack and the second country is the main suspect of this attacks. 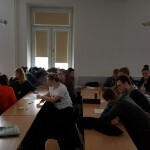 The workshop showed a commitment of the students, whom tried their best to understand the implications of situation and work out a preferable outcome. They also experienced the limited tools, which they can utilize to prove the source of attacks and will simulate a potential real life scenario. 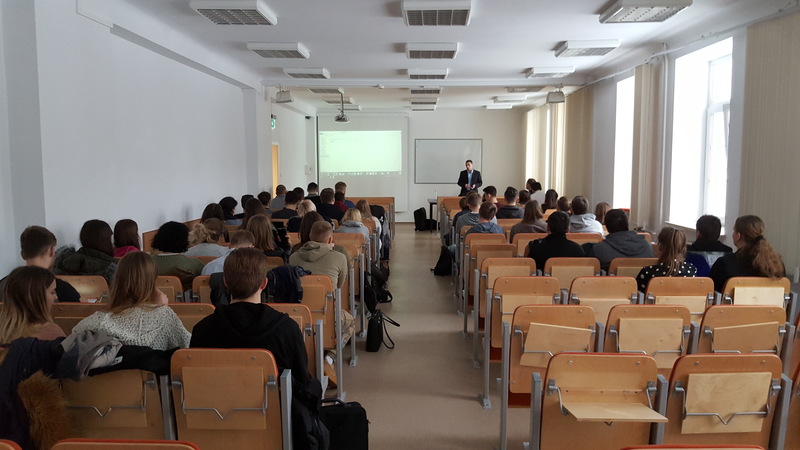 During the day, students have the possibility to experience a lecture on the topic of cybersecurity led by Cdr. Wiesław Goździewicz Legal Adviser, NATO Joint Force Training Centre in Bydgoszcz; Expert, Kosciuszko Institute. 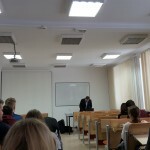 During several hours, students have discussed the new reality of cyber attacks, possibility of cyber warfare and also the gained more knowledge about the cyber threats, which are directly concerning every individual present online.